This was for a jewelry store in Raleigh, North Carolina. Which I made 3 jewelry box displays. 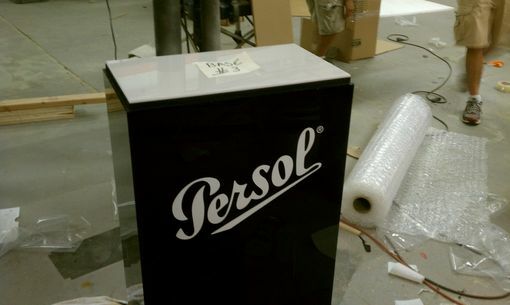 The body finish is a gloss black acrylic with a white acrylic top. 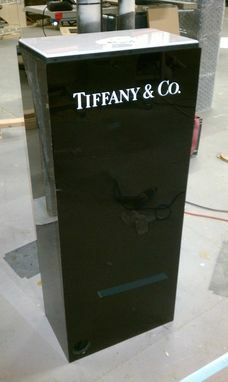 the body is hollow to accommodate up lighting to Illuminate the white acrylic . the lid is clear acrylic.